What in your opinion is the best open source board? Which one is the most used? First answer these questions, and then we can show you the best board for YOUR requirements. The exact peripherals are not the most critical requirements. I am planning to use the board in my youtube videos and I would like to use a board, which many people already own and know how to work with. The price to performance ratio is quite good on the blue pill STM32F103 boards. No 32bit Arduino clone is nearly as cheap. It has been around for a while, so there is plenty of information online. Adafruit, Sparkfun, or Digilent would be the first few places I'd look for something like that. I'm not sure the Parallax Propeller is opensource or not, but that's also an interesting choice. The price to performance ratio is quite good on the blue pill STM32F103 boards. - I will get the blue pill board. Many people recommend it. I like it. The chip looks good. A lot of pins, direct USB (no converter needed), 5V tolerant pins. Together with Arduino Nano, one of my favorites at this moment. Thanks for the tip. What about the Arduino Leonardo. Leonardo is very nice, just too similar to Uno. I have already made a modification of Uno (https://www.28pins.com/) ... but maybe this could be also a way to go (Leonardo has some advantages). What about one of the SAMD boards? Adafruit and Sparkfun both have a suite of OSHW based on SAMD21, and they (can) use the Arduino IDE. "Blue Pill" is more of a "manufacturer reference design" than OSHW. 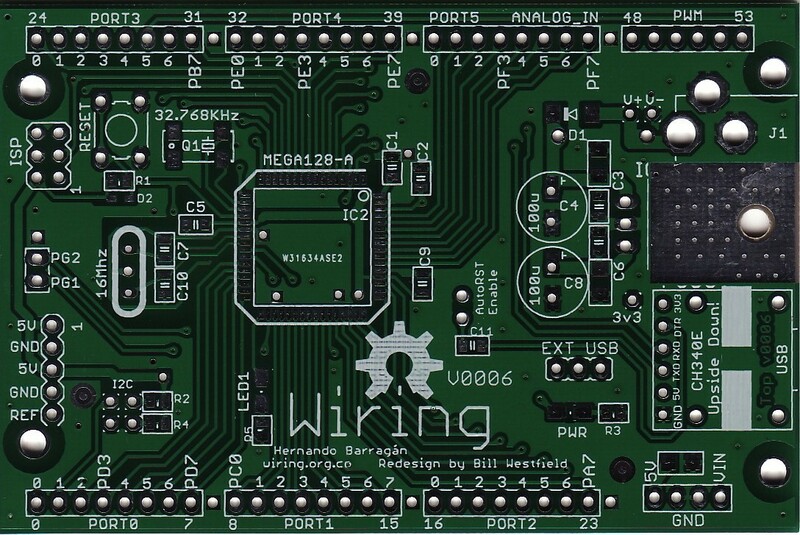 I'm not sure that I understand the differences, legally, but I don't know if you'll find a schematic and PCB floating around with a big "This designed is OSHW" license disclaimer.